While building a new house, put aside the beauty and elegance, you should make sure the security of your house. Selected materials to build the house and proper security system is needed to protect your properties. During the construction process, steel is one of the most important materials used to create a number of items. Steel pipe is better than the iron counterpart which is easy to rust. And when you need to by welded steel pipe, you should pay attention to 3 main aspects. 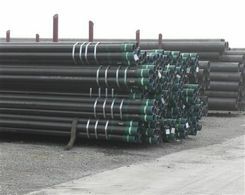 First, when you need to buy API steel pipe, you should determine whether the supplier is authorized or not. Some companies could sell the steel pipes at lower price because of the unqualified raw materials they choose. With no doubt in mind, you should refuse to choose these products. Although the initial expense is lower, the unqualified pipes would have to be replaced sooner. Thereby, you should better choose the pipes from the exporters endowed with reliable reputation. If you have taken pipes from a company which is qualified, you could choose the same company to serve you instead of choosing another. 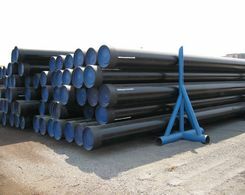 Second, steel pipes are used for different purposes. They could be used to transfer gas, oil, slurry, beer and water. When you need to choose the suitable types, you need to consider your requirements. Especially while you need to use the pipes to carry dangerous and flammable gases. In addition, the types used for residential purpose or industrial purpose are different. 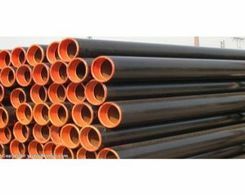 Third, steel pipes are designed with wide applications nowadays and there are more and more exporters are engaged in this business. You need to compare the price and the quality. Try to choose the suitable pipes at reasonable price to save your expense. What Should You Know About API Steel Pipe? How to Deal with Stainless Steel Pipe Type?